President Rodrigo Duterte recently expressed his desire to visit Israel and is already making arrangements for the visit, according to an Israel Foreign Ministry official. Purchasing security equipment will be part of the agenda. 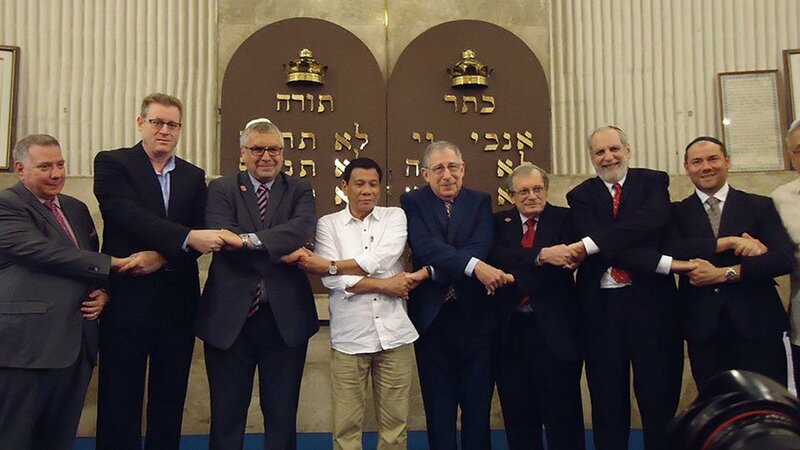 As his first major official visit to the West, Duterte chooses Israel. Most of the president’s official visits outside the Philippines since his administrative duty started have been to neighboring Asian countries, such as China, Japan, and Cambodia. His visit will be timely, as Israel increases its relations globally, particularly in Africa, Asia, and the Middle East. Historically, during the time of former President Manuel Quezon, the Philippines and Israel had been enjoying a deep friendship, borne of common adversity and intense love for freedom. Together, the Filipinos and Israelis struggled, endured and ultimately prevailed over challenges brought by WWII. In 1957, the State of Israel and the Republic of the Philippines established full diplomatic relations with the signing of the Treaty of Friendship on 26 Feb 1958. This year marks the 60th Anniversary of the Establishment of Diplomatic Relations between the two countries. Part of the agenda on his visit is said to be on purchasing surveillance equipment, and weaponry from Israel, which has sold weapons to the country in the past. Israeli defense contractor Elbit Systems Ltd won the bidding to upgrade 28 armored personnel carriers for the Armed Forces of the Philippines, delivered in July 2015. The Department of National Defense also announced last year its intention to acquire radar equipment from a subsidiary of the Israel Aerospace Industries, a defense company owned by the State of Israel. Duterte considers Israel an ally and continues to nurture the relationship between the two countries by promoting bilateral trade in different industries, including military and defense.